Badger WheelsTM (patent pending) for YETI® Tundra coolers. Designed to match the rugged durability of your YETI® cooler. Now you can protect your catch and your back at the same time. 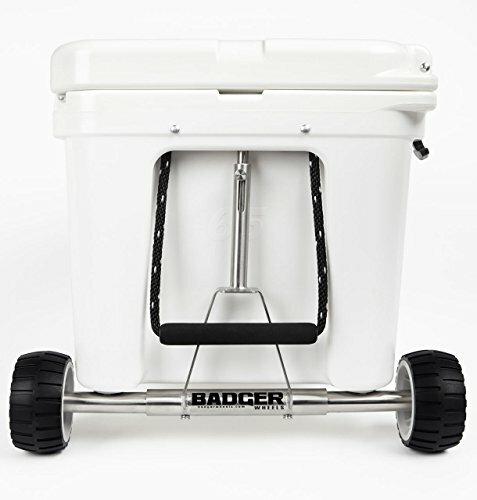 Badger WheelsTM for YETI® allows you to easily transport your YETI® Tundra to and from the boat, in and out of the field, or back and forth when tailgating. If you have any questions about this product by Badger Wheels, contact us by completing and submitting the form below. If you are looking for a specif part number, please include it with your message.